Put your fears to rest by discovering the truth about this much-maligned treatment, and find out why it’s considered by many dentists to be the unsung hero of dental care. Left untreated, tooth decay can eventually result in bacteria infiltrating the very core of the tooth, infecting its sensitive nerve tissue (otherwise referred to as “root” or “pulp”). Once the pulp has been infected, a pocket of pus known as an abscess can form and wreak havoc beyond the problem tooth itself. From swelling of the mouth, jaw and face, to bone loss and even the spread of infection into the skin, the cost of delaying treatment can compound rather quickly. If the problem is caught in time, a root canal may be possible, allowing the dentist to clear the infected pulp without having to sacrifice the whole tooth. Keeping your natural tooth not only helps maintain proper chewing and speech, but also it requires less time and money compared to a tooth removal and implant. See your dentist to know for sure, and let him or her know about your situation when scheduling an appointment to ensure you are seen as soon as possible. 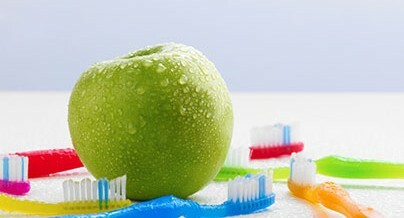 Like most dental problems, it’s best to be proactive. The sooner the dentist is able to diagnose and treat the infected area the better — and it could decrease the amount of post procedure discomfort. The length of time for treatment can vary widely depending on the complexity of each patient’s situation, but it’s safe to say that multiple visits are required to complete a root canal. Anesthesia may be applied, but it is not always necessary since the nerve is already dead. The first phase of a root canal involves thoroughly ridding the tooth of any infection and decayed matter — usually by drilling an access hole, flushing out the pulp, and applying medication to the tooth and surrounding gums. The dentist will then seal off the area completely, or in extreme cases, wait several days for the infection to clear before sealing off the tooth. 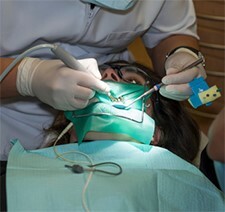 The second phase of treatment focuses on filling the tooth. To do this, a dentist normally uses sealer paste or a rubber-like compound to fill the empty nerve canal and interior of the tooth. After the tooth has been filled, a metal post is inserted into the tooth to further strengthen it. Restoration, in which a crown is created to cap off the tooth, is the final step of treatment. Once the custom crown arrives, the dentist covers the tooth and shapes the crown to function as optimally as possible. As with any lengthy dental procedure, temporary tooth and gum sensitivity are to be expected, but should go away within a day or two. If the permanent crown has been applied, you can return back to your normal routine immediately. Root canals have a very high success rate, but it’s important to remember that there is always a possibility for the filling to become infected. To avoid complications and additional root canals down the road, make oral hygiene a top priority and schedule regular visits to your dentist.